The internet is a vast and wonderful place where one can find all kinds of fun stuff. From art-museum walk throughs to grumpy cat memes, interesting things are just waiting to be found. 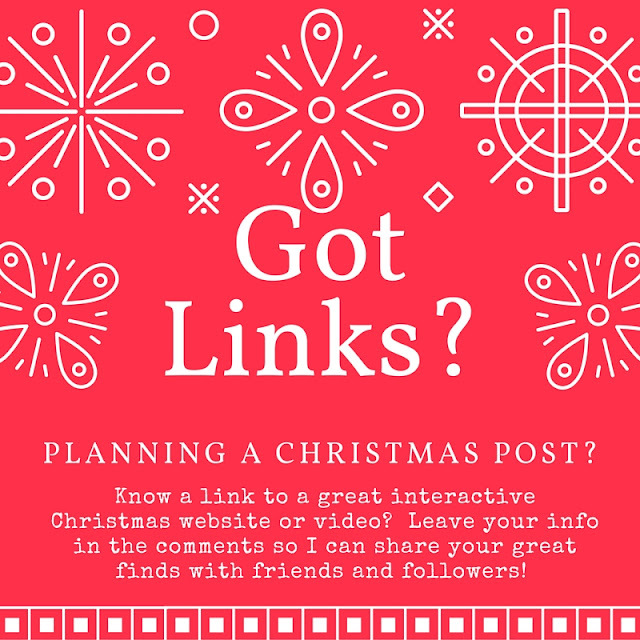 If you know of a great Christmas website, video, or have a link to an interactive Christmas Card - I would love for you to share it with me so that I can share it with others on November 15th. Pretty Please? I just know that out there somewhere are the dancing elves that will make the grumpy cat in even the Scroogiest Scrooge laugh out loud.